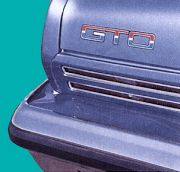 1974 was the last year for the GTO. Phoenix Graphix is presently reproducing these and providing them for a fraction of the price they were available for through GM and another aftermarket Manufacturer. These kits are produced on the highest quality Chrome Material available.